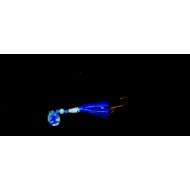 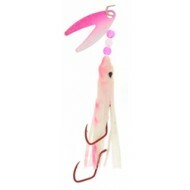 Our Slammin’ Salmon Squids are 2″ in length and are all coated with a UV pigment. 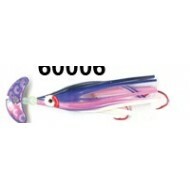 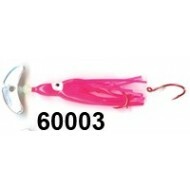 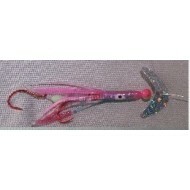 They are tied usin..
Spinner Squids are made using our Slammin’ Salmon Squids and Dakota Blade. 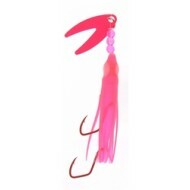 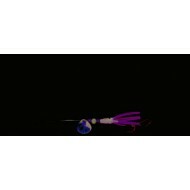 The Dakota Blade puts mor..
Ken's Custom Tackle Watermelon w/smile blade 2" Glow Bead Silver Sparkle ..
Ken's Custom Tackle Watermelon w/smile blade 2"
This smaller profile rig works great early in the season as well as later on. 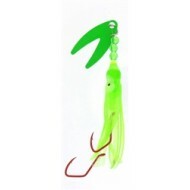 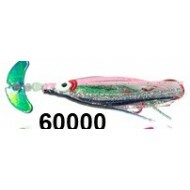 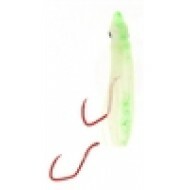 The two hook no-..
Mack's Cha Cha Kokanee Chartreuse/Green Glo. 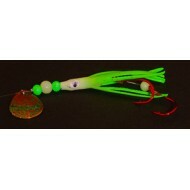 This small profile rig works great early in the season as well as later on. 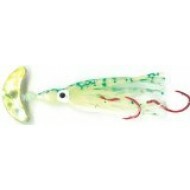 The two hook no-ga..
MAG Tackle Deceiver 2" Spinner Squid Pink ..
MAG Tackle Deceiver 2" UV FireTiger Spinner Squid ..
MAG Tackle Mag Heads 2" Green Spinner Squid ..
MAG Tackle Mag Heads 2" Orange Spinner Squid ..
MAG Tackle Mag Heads 2" Pink Spinner Squid ..
MAG Tackle Mini Mags 1.5" Blue ..
MAG Tackle Mini Mags 1.5" Lime Green ..
MAG Tackle Mini Mags 1.5" Pink ..
MAG Tackle Mini Mags 1.5" Purple ..
MAG Tackle Deceiver 2" Blue Spinner Squid ..